The weather is finally heating up and employers must always be aware of the potential for heat related hazards and illnesses for their employees. Although OSHA does not have one specific regulation for heat related hazards, a number of OSHA standards include requirements pertaining to heat related illness prevention and reporting. Operations involving high air temperature, radiant heat sources, high humidity, direct sunlight, and strenuous physical activity have a high potential for heat stress. Outdoor employment activity in the hot weather such as construction, refining and refracting, asbestos removal, and agricultural work are likely to cause heat stress if precautions are not taken. Employers are required under the General Duty Clause in Section 5(a)(1) to provide employees with a place of employment free from recognized hazards which cause or are likely to cause death or serious physical harm. OSHA has used the General Duty Clause in the past to cite employers that expose employees to serious physical harm from excessively hot work environments. 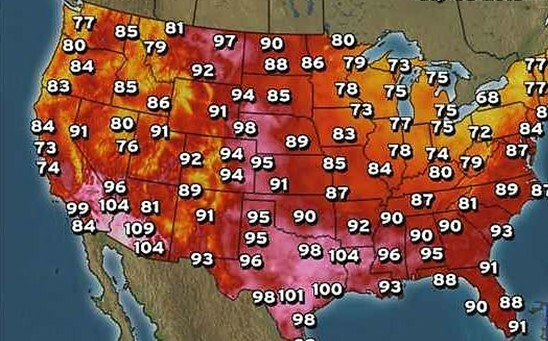 Twenty-five states have adopted OSHA-approved plans for compliance with and enforcement of heat illness prevention plans but there is no federal OSHA standard. OSHA recommends that employers follow general guidelines such as permit workers to drink water at liberty, establish provisions for a work/rest regimen to limit exposure time to heat, and develop a training program about recognizing and reducing heat illness. For further information on heat stress hazards in the workplace, go to https://www.osha.gov/Publications/osha3154.pdf or contact a member of our labor and employment law section.